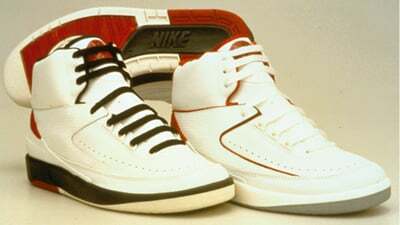 The Air Jordan 2 made its first debut in 1986, (which was the white/red colorway) and the other three color ways released in 1987. Designer of this model is Bruce Kilgore and Peter Moore, (both were dismissed from making any more AJ models after the II). In 1986-87 the Air Jordan II retailed at $105.00. Rumor is after the Original Air Jordan 2 model the mold was either destroyed or was stolen. So when the Air Jordan II re-released in 1994-95, Nike had to dissect the Original pair, and when Jordan Brand re-released the AJ 2 once again in 2004, they had to dissect a pair of the 1994-95 retros. On the AJ II their was not a black color way produced, even though sketches and prototypes were put together. One of the most sought out pair of shoes is the Air Jordan II K.O. Very little are in existence, and also very few pictures are floating around. In 1995 the Air Jordan 2 was re-released in the high top version, as well as the lows. 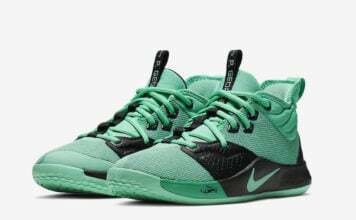 They had a price tag of $105.00 (same as the originals), but just like the Air Jordan I they did not sell well, hitting sales racks for $20. In 2004 the AJ 2 once again made an appearance, with a price tag of $110.00. 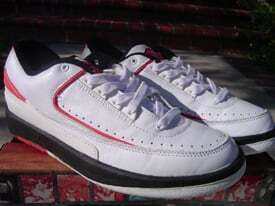 Also in 2004-2005 the AJ II lows were released, retailing at $100.00.